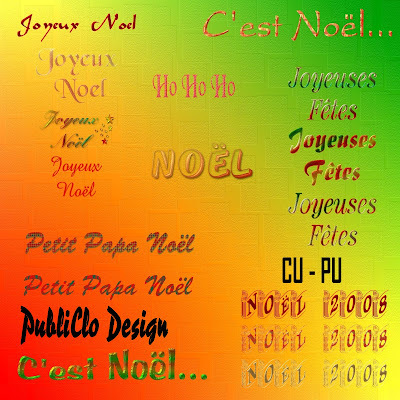 Des mots de Noël pour vos montages ou vos cartes de souhaits. Thank you so much for this Freebie. I want to let you know that I posted a link to your blog in CBH Digital Scrapbooking Freebies, under the Page 8 post on Dec. 09, 2009. Thanks again. Merci beaucoup pour ces beaux mots en français !